An Amazon bestseller, The Ascension Manual: A Lightworker's Guide to Fifth Dimensional Living (2015) is the first book in the Ascension Manual series. Channeled from the Collective, it serves as a practical guide as we move from the third to the fifth dimension. 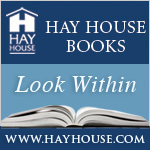 It offers real-world, encouraging guidance on everyday issues such as relationships, abundance, and releasing the past. The book is also the first in a series that guides Lightworkers on how to handle Ascension symptoms with calmness, grace, and a feeling of adventure. Caroline Oceana Ryan is an author, channeler, and speaker. She has channeled information from angels and spiritual guides since childhood. She currently channels information on Earth’s Ascension into the fifth dimension from a group of fifth and sixth dimensional beings known as the Collective.